What one learns from viewing this trailer is that the film seems much more akin to Alien than Prometheus. While Prometheus was far more ambitious in scope to previous Alien films, it divided many fans for a variety of reasons, one being it wasn’t “Alien” enough. Scott looks to be rectifying that with Covenant by thoroughly embracing the Alien roots, with facehugger eggs, xenomorphs and, to mix things up a bit, a ‘backburster’ instead of the infamous chestburster of the past. The title alone, which at one point was known as ‘Paradise‘, and the first official poster (seen below), clearly shows a harkening back to the original film. While this should all come as welcome news for Alien fans, let’s hope Scott doesn’t push aside the inspired origins of mankind/Engineers storyline which was introduced in Prometheus. While aliens attacking humans in and of itself is awesome, tying them into a grand design of the ultimate questions our species face – where do we come from and why – takes this far and beyond that of most beloved franchises. 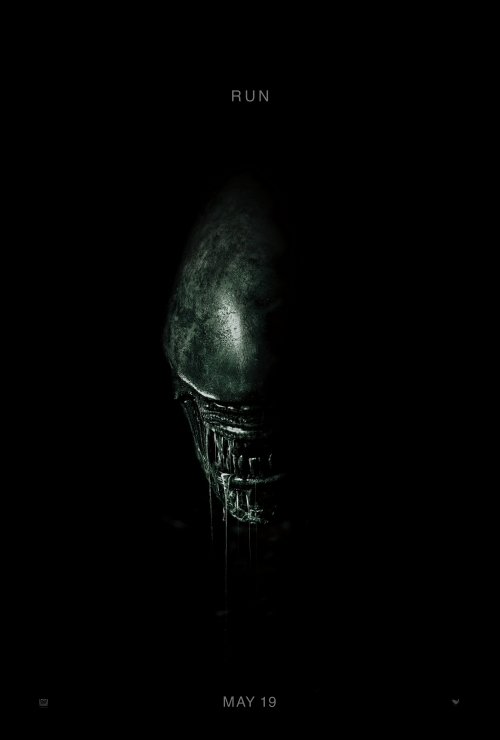 Starring Michael Fassbender, Katherine Waterston, Billy Crudup, Danny McBride, Demián Bichir, Carmen Ejogo, Amy Seimetz, Jussie Smollett, James Franco, Guy Pearce and Noomi Rapace, Alien: Covenant picks up sometime after the events of Prometheus, where the synthetic, Michael (Fassbender), and Elizabeth Shaw (Rapace) went off in search of the Engineers’ homeworld in hopes of finding answers to mankind’s origins. Casting-wise, Rapace was in, then out, then back in for this sequel, but the exact nature of her role is as yet unknown, though it does appear that if any significant time has elapsed, her Shaw character may have met an untimely demise. With Waterston (Fantastic Beasts and Where to Find Them) as the apparent lead, this looks to continue the Alien way of putting strong female characters front and center (while possibly dispatching male leads early on – Dallas, Elgyn). The rest of the cast looks strong as well, similar to Prometheus‘ Charlize Theron, Idris Elba, etc. And while the casting of McBride, better known for goofball comedies like Eastbound & Down and Pineapple Express, gave us some reservations initially, it’s not the first time an actor better known for comedy has shown up in the Alienverse, as we saw with Paul Reiser in James Cameron’s Aliens. Plus, a little comic relief is oftentimes a welcome respite amidst the serious confines of outer space. Wonder if McBride’s casting is what led to his buddy, Franco’s, who plays the captain of the Covenant ship. While there’s a lot of unknowns regarding Alien: Covenant, what we do know is that if at anytime in the 80’s, 90’s or early 2000’s, you had heard that Ridley Scott would be helming more Alien movies, you’d be screaming loud enough for them to hear you in space. And with that other Alien 5 movie to be directed by District 9‘s Neill Blomkamp, and bringing back Sigourney Weaver’s Ripley and Michael Biehn’s Hicks, apparently still a go for sometime in the future, it’s a great time to be a fan of what may be the greatest sci-fi horror franchise in all of film. 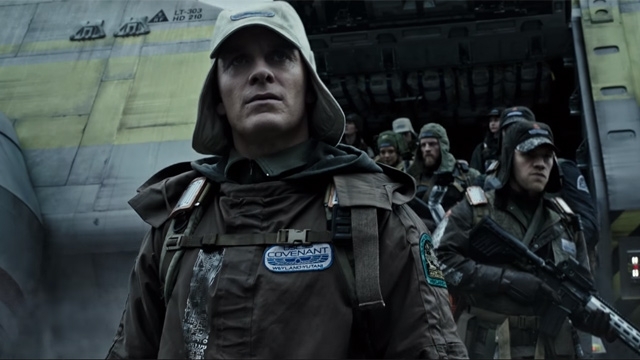 Alien: Covenant, originally set for release in August of 2017, has been moved up May 19th of this year. 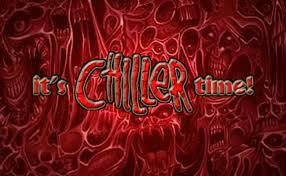 The Gore 4 can’t wait. For more info and the latest news directly from 20th Century Fox, visit their official Alien: Covenant website.